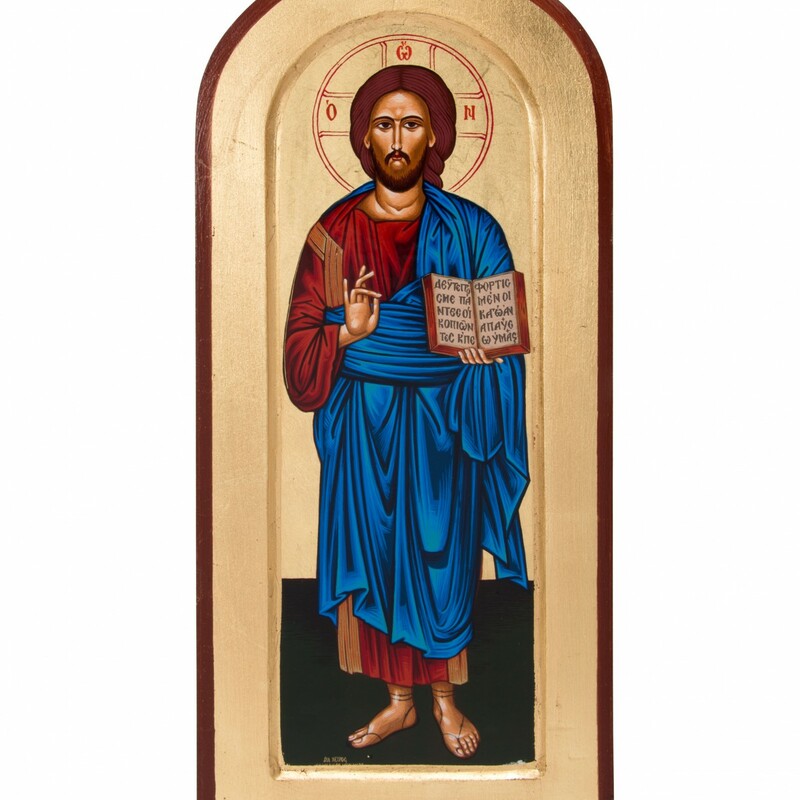 This beautiful oval icon portrays Christ as Teacher, holding in one hand the Gospels. 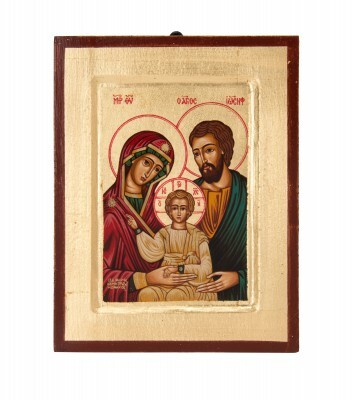 Christ’s other hand makes the sign of a blessing; his three fingers pointing upward representing the three persons of the Holy Trinity and his two curled fingers representing his divine and human natures. 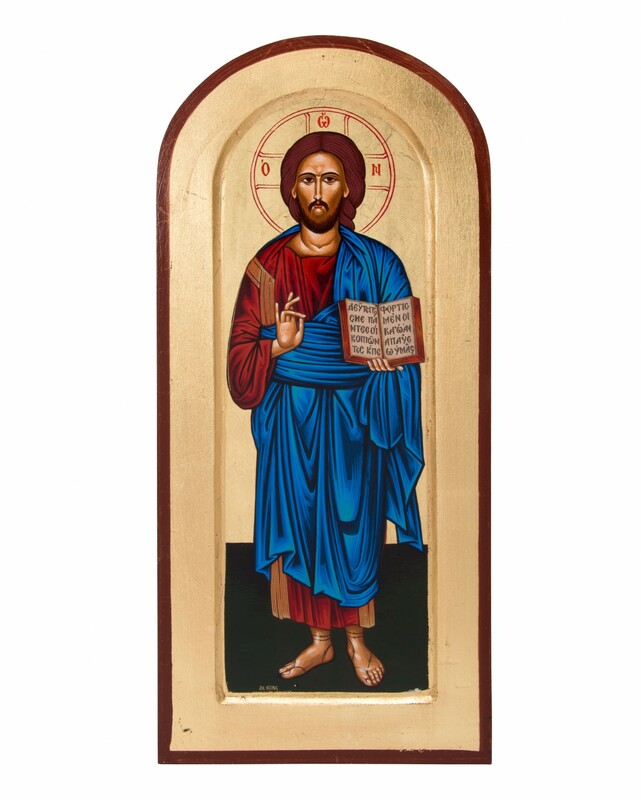 In a similar fashion, his blue apparel represents his divine nature while his red apparel symbolizes his human nature and his crucifixion. 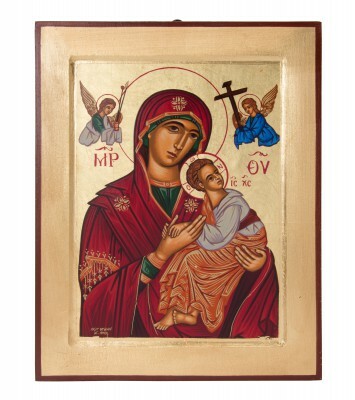 The phrase contained in the nimbus, O W N, translates to “He Who Is” or “The Being One”, recalling the words of God to Moses in Exodus: “Tell them I AM has sent you.” The background is gold that is symbolic of heaven and typical of a Byzantine style, and the maroon color highlighted by a yellow lace draping is a very nice addition classically signifying a man of high office. 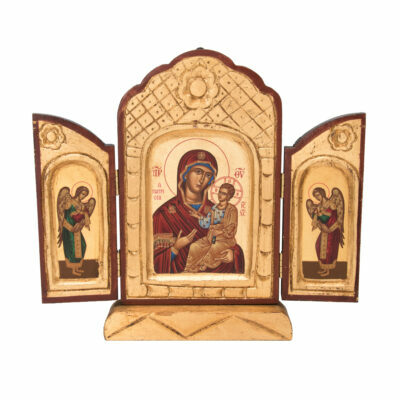 This illustrious icon will graciously adorn any room in your home or oratory and will also make a wonderful gift for anyone interesting is Byzantine religious art.